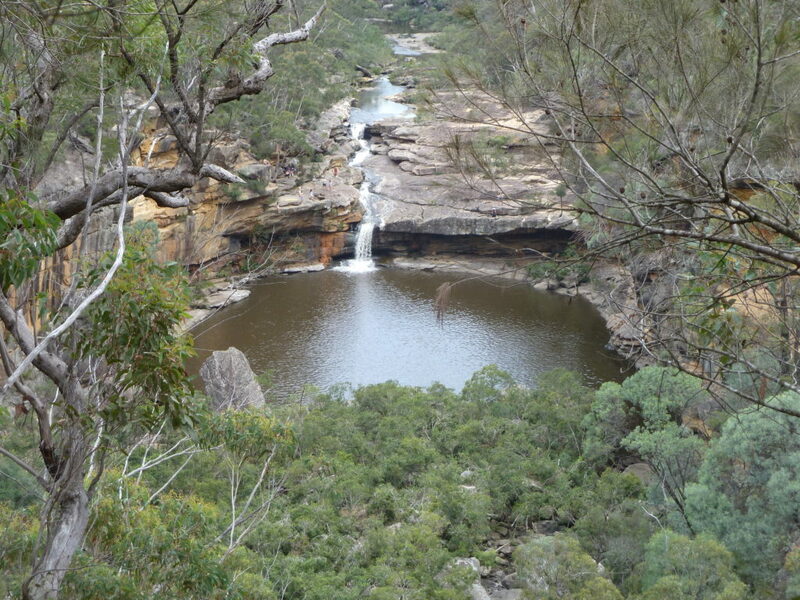 Mermaid Pools and Tahmoor Gorge Bushwalk. Directions, photos, maps. Mermaid Pools, Tahmoor Gorge Bushwalk. Where: Charlies Point Rd, Bargo. Difficulty: Mermaid Pools Medium, Tahmoor Gorge Hard. 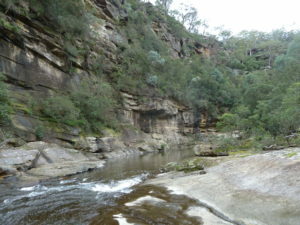 Mermaid Pools and Tahmoor Gorge Bushwalk. The Mermaid Pools and Tahmoor Gorge bushwalk is nothing short of spectacular. Mermaid Pools is the main attraction with a large waterhole and the Bargo River forming a nice waterfall to provide the finishing touches. This is a very scenic spot and most people finish up here and head back. The track for this section would be rated medium and is about a 5km return journey. If you’ve come this far I’d highly recommend checking out Tahmoor Gorge as well. This is another hidden gem in this park of the world. You walk right through the Tahmoor canyon which is absolutely amazing. The shearing cliffs are something to see and there are plenty more waterholes along the way. The Tahmoor Gorge track loops around and you end up on top of the gorge which gives you a birds eye view of Mermaid pools. A word of warning, this part of the hike is well and truly on the hard side. The track is hard to follow. However there are enough pink and yellow markers to allow you to find your way. The total trek took us about 4 hours and 30 minutes. I highly recommend Mermaid Pools and Tahmoor Gorge. An absolute fantastic bushwalk. Directions to Mermaid Pools and Tahmoor Gorge Bushwalk. Google Map Link. Coming from Sydney on the Hume Hwy, take the Bargo exit just after Pheasants Nest Service Station. This will take you onto Avon Dam Rd, Bargo. Turn right onto Arina Rd. Follow this until you hit Charlies Point Rd. Turn onto Charlies Point Rd, travel only about 20 meters and the car park is on you right. Mermaid Pools and Tahmoor Gorge Bushwalk trail Map. Mermaid Pools and Tahmoor Gorge Photo Gallery. Mermaid Pools and Tahmoor Gorge Bushwalk Youtube Clip. Bushwalking Illawarra, Mermaid Pools, Tahmoor Gorge, tracks, trails, hiking, trek.